Women helping women get informed and take action. Image by Karin Schermbrucker, courtesy of mothers2mothers. By Robin Smalley, Co-founder and Director, mothers2mothers U.S.
At 17, when most adolescents are starting to feel that life has just begun, Beauty thought hers was over. On her way home from school, she and a friend decided to stop by a mobile clinic and get tested for HIV, sure she had nothing to worry about. She was so frightened when her results came back positive. “I knew very little about the virus. All I knew was that it is a killer. People in my community incorrectly referred to HIV as AIDS and everyone knew that AIDS kills,” she says. She didn’t tell anyone her status as she feared she would be judged harshly and did not follow the nurse’s advice to start treatment. Two years later when she became pregnant, Beauty’s HIV status was still her biggest secret. There was no one she could tell how worried she was about infecting her unborn baby or raising a sick child. Beauty soon discovered there were women at her clinic near Pretoria, South Africa, ready to stand by her side and help her through these terrifying times. They were HIV-positive mothers, employed, trained, and empowered by mothers2mothers (m2m) as Mentor Mothers. The first Mentor Mother Beauty met was Irene Nkosi who had also tested positive as a young woman and was living proof it is possible to have an HIV-negative child and lead a full and healthy life. “Mentor Mothers became my pillar, people I would turn to when I needed support and advice,” Beauty says. Beauty started treatment and disclosed her status to her mother, who assured her everything would be fine. Disclosing to her partner was more difficult, as initially he did not take the news well. With the help of the Mentor Mothers, Beauty encouraged him to get tested for HIV. She may have saved his life because he too was positive. Beauty is one of the 1.5 million HIV-positive women that m2m has reached since we were “born” 15 years ago at a single Cape Town clinic. We are now currently operating in seven sub-Saharan countries, providing education and support to women and their families in hundreds of health centers and communities. 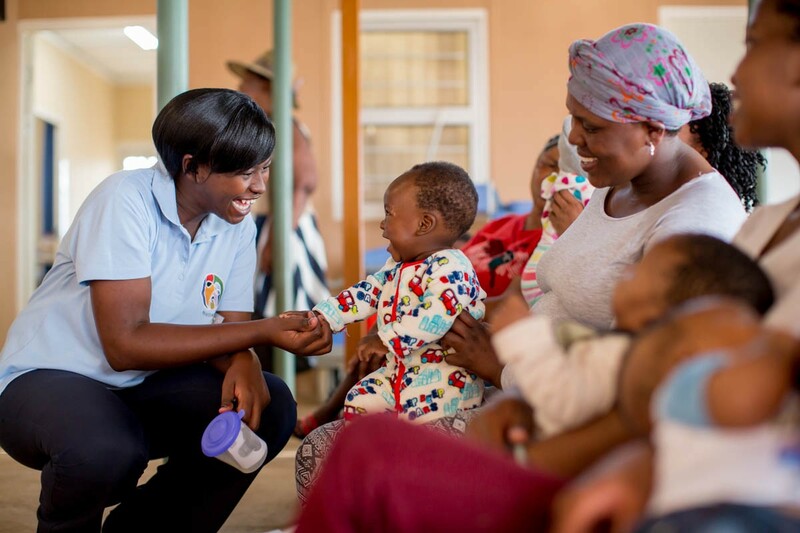 Our Mentor Mother Approach has been proven to improve health outcomes of mothers and infants, while also achieving significant savings in averted HIV treatment costs. And through the tremendous efforts of Mentor Mothers like Irene, we have virtually eliminated mother-to-child transmission of HIV among our clients according to UN AIDS guidelines, which define elimination as less than 5 percent. In 2015, we were thrilled that our average transmission rate was only 2.1 percent! Today 300 babies are still infected with HIV daily in sub-Saharan Africa, which is both tragic and unnecessary. m2m is evolving even further to help end this epidemic. Several years ago, we took an exciting step that for the first time brought Mentor Mothers out of health centers and placed them in communities. Community Mentor Mothers are now visiting pregnant women and new mothers who have not engaged with the health system or have missed appointments at their homes and encouraging them to access treatment at the health facility. By going into homes, we also have an opportunity to interact with other family members — including male partners, older children, and adolescents — and link them to healthcare. In 2015 alone, m2m reached 860,500 women, children, adolescents and male partners. We are also making sure that children not only have the opportunity to survive but also thrive, by educating and supporting parents and caregivers on early childhood development. And when they enter adolescence, we are using our same peer model to make sure that they don’t become one of the 7,500 adolescent girls between the ages of 15 and 25 to be infected with HIV each week. As for Beauty, her life is full of possibilities. She is now employed by m2m as a Mentor Mother and works in the same clinic as Irene, the Mentor Mother who first helped her. When an adolescent girl arrives at her clinic, she makes a point to meet with her and give her the support she wished she had had. “I have to be a friend to them, because I know how I felt as a 17-year-old who had just tested positive. I was lonely and had no one, so I know it is not easy being HIV positive and a pregnant young person. You are scared to tell your parents because you are still a child yourself,” she says. Beauty is now the mother of not one, but two children…both are HIV negative. That baby she worried so much about is now four years old, a girl named Ntokozo which means “happiness” in Xhosa. It is stories of women like Beauty and Irene — women who are providing health and hope to so many — that inspire me each and every day. And as the mother of two daughters myself, nothing is more important than teaching them that one Beauty can overcome any Beast…even HIV.